I’m used to such reactions at this point so of course I questioned this obsession. What did hibiscus have to give me? This summer I got my response during a session for someone close to me. In fact, he was the one who needed the benefits of hibiscus to help with a situation he had gone through. Given our close relationship and my hypersensitivity, I was picking up on it and hunting it down. This experience allowed me to learn a bit more about this flower essence which I pass on to you. Waratah is a flower not found in Europe but whose essence is becoming increasingly important given the current events in the world today. It is among the most powerful of the Australian Bush Flower Essences. Waratah is a plant that is native to New South Wales in Australia. Growing between 3 and 4 meters tall, the Waratah shrub is known for its showy display of brightly coloured small flowers densely packed into a compact head or spike. The Waratah flower essence is for those who are going through “the black night of the soul” and who feel a deep sense of despair. It gives the strength and courage necessary to confront the crises at hand and allows those using it to find and enhance their survival skills. Waratah flower essence is a necessity in any first aid kit. Harebell is a flowering plant that comes from the “bellflower” family. It originates from continental Europe and is sometimes referred to as the Bluebell. It can be recognized by its blue or purple bell-shaped petals. 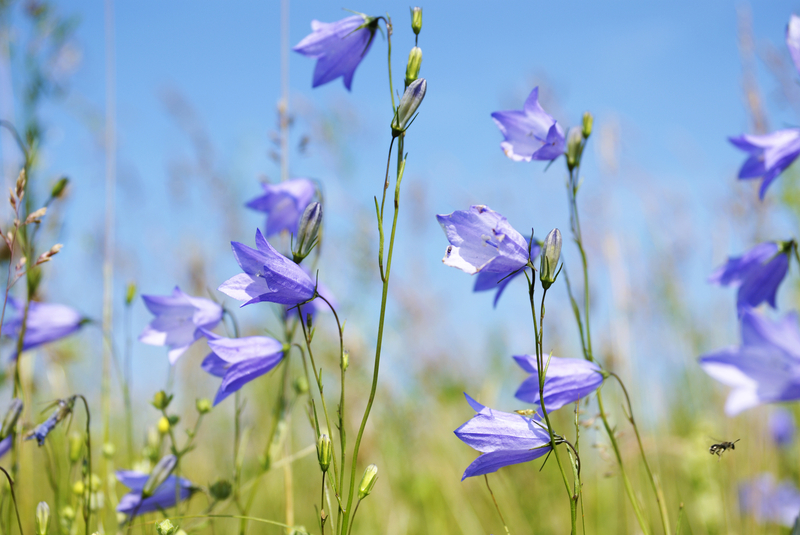 Harebell flower essence can help you improve your abilities to be well and prosper. It allows you to align your thoughts, words, and actions and will ultimately help you achieve your goals. The Harebell flower essence is used to rid you of your negative feelings and insecurities. 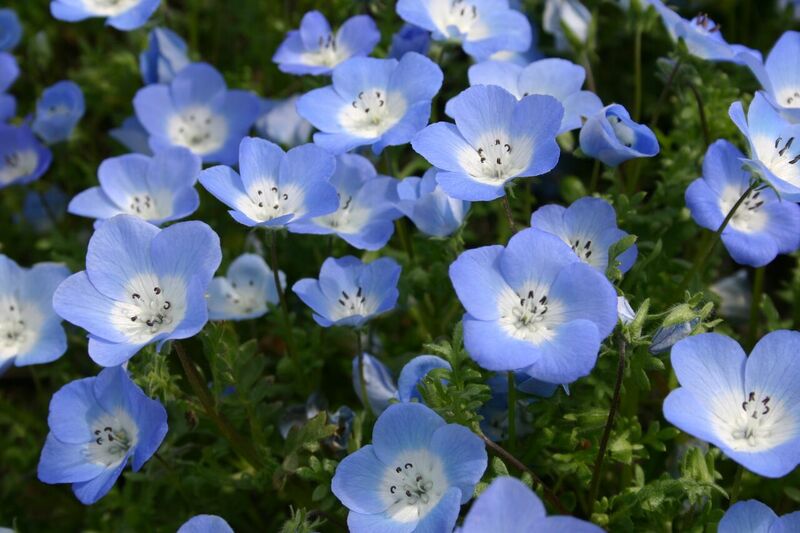 The Baby Blue Eyes is a small flower that originates from the state of California and southern Oregon and is known for its affinity for water. The Baby Blue Eyes belongs to the “waterleaf” family and can be recognized thanks to its striking blue petals. The Baby Blue Eyes flower essence can be especially helpful for those who may be insecure and/or have trust issues, a cynical outlook on life and a tendency to distance themselves emotionally. It is commonly used for those who may have a difficult relationship with their father or another significant masculine figure. 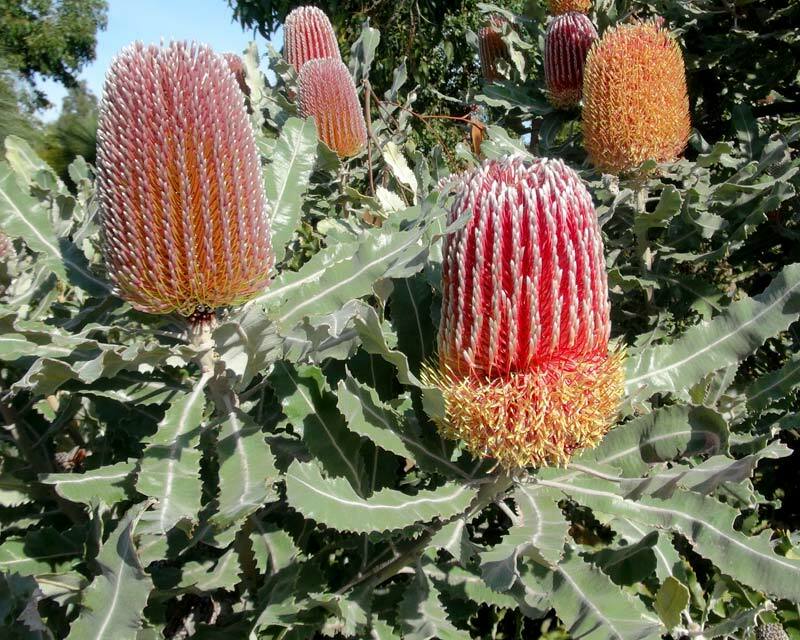 The Menzies Banksia flower essence comes from firewood banksia, a flowering plant originating from Western Australia and the Perth region that belongs to the “banksia” family. It can be recognized by its dull, green leaves and is often two-colored (red/pink and yellow). The Menzies Banksia flower essence encourages regeneration, renewal, and courage. It is often used by those who have latched onto painful experiences and find it difficult to let go of their past.